Samsung Galaxy S6/S6 Edge VS iPhone 6 - Which Should You Buy? 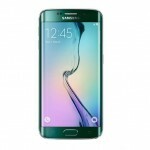 Home » Technical News » Samsung Galaxy S6/S6 Edge VS iPhone 6 – Which Should You Buy? Samsung Galaxy S6/S6 Edge VS iPhone 6 – Which Should You Buy? Is The Samsung Galaxy S6 & S6 Edge Better VS iPhone 6? See how these phones compare to each other. Complete comparison.